What do you get for being a fan of Xbox's Rise of the Tomb Raider game? Easy - punishment. Or at least that's how we look at it. 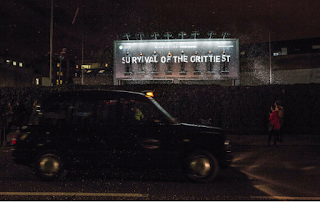 To celebrate the launch of the game in the U.K.8 fans of the game elected to stand on a tiny ledge of a billboard and withstand the harsh elements for a chance to be the last one standing - and thus the winner of a trip inspired by Rise of the Tomb Raider. We think this is more Survivor meets gamers - but whatevs!